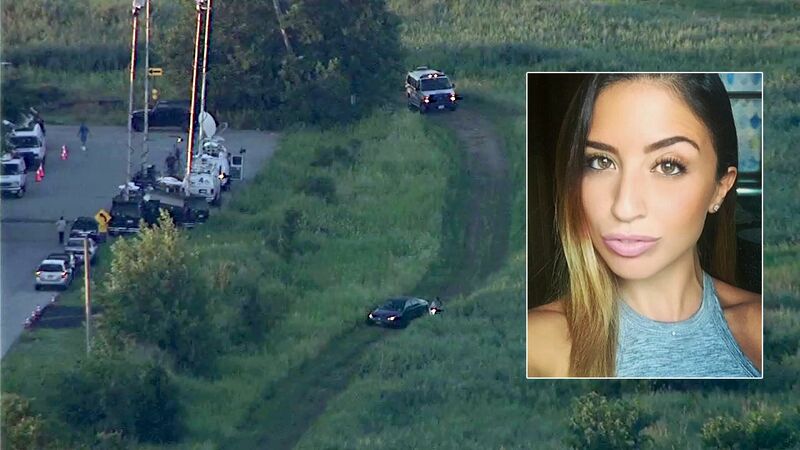 HOWARD BEACH, Queens (WABC) -- The NYPD said it has developed a DNA profile of the person who killed Howard Beach jogger Karina Vetrano - but it hasn't yet come up with a match. Chief Robert Boyce told reporters Tuesday that detectives collected DNA from three different parts of the investigation - Vetrano's cellphone, touch DNA from her neck and DNA from other parts of her body. "We were able to identify a DNA profile. We put that into our database, and there was no nationwide hit on it or any state hit on it," Chief Boyce said. Vetrano went missing Aug. 2 after going out for a run. Her body was found at Spring Creek Park in Queens hours later. The medical examiner said she was strangled and sexually assaulted. Boyce said the investigation is now focusing on people who might have been in jail before 1998, when the nationwide database was first started, or on someone younger who might not have done jail time. "As you can imagine, that's quite an undertaking," Boyce said. Boyce said that the DNA collect also didn't match the city's database for other crimes across the city. "We do have a small group of individuals that we collect DNA on for pattern purposes - robbery patterns, burglary patterns - and we connect each case with that, but that hasn't come up either," Boyce said. The reward for the case is now up to $235,000 -- $200,000 raised by Vetrano's family via an online fundraising site, and $35,000 by the NYPD and NYC mayor's office. Chief Boyce said detectives still believe the killing was "a random attack." He reiterated the current investigative theory that the suspect retreated through the weeds and emerged along the belt parkway in Brooklyn. Detectives have traced all possible escape routes with no suspect on camera, and no evidence indicating any one person. They have talked with known shoplifters and panhandlers in the area. The NYPD also talked to the mystery jogger that Phil Vetrano, Karina's father, referred to on the radio Monday evening. That jogger "hurt his knee and stopped jogging," explaining his absence from the weeds. He is not a suspect in the case. Anyone with information in the case is asked to call the NYPD's Crime Stoppers Hotline at 1-800-577-TIPS (8477) or for Spanish, 1-888-57-PISTA (74782).